There is a great king whose castle sits high on a mountain that looks over the village he rules over. He is a decisive, but fair leader who has helped his people live in peace and harmony for many years. He is respected by his people and deeply loved by his wife. The villagers all share water from the same source, a well that sits in the center of their home. One day, that well becomes contaminated with a poison, and anyone that drinks from that well will almost instantly turn completely insane. After only a day or so, all of the villagers have drank the water from the well, and the once harmonious village is now being torn apart by lunatics. The King and his wife do not get their water from the same well that his people drink from so they are spared from this mass insanity. The King is chased back to his castle by the villagers who now see him as a threat and are storming his castle, threatening to tear it apart unless he relinquishes his crown because he’s not fit to rule them in his crazy state-of-mind. The King is full of despair, but knows that if he steps down from the throne that order may be restored. 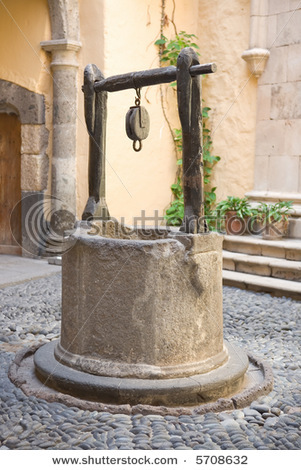 His wife has another solution…”What if we go drink from the well? Then we will be the same as them.” Seeing no other way out, and not wanting to lose his position of power, the King agrees. They escape from the mountain and go directly to the well, drinking its poisoned water. Just like everyone else, they almost immediately turn insane. The villagers find the King and his Queen and are overcome with relief. Thankfully, the have now come to their senses, they are talking and acting exactly like them. For me, this story teaches one very valuable lesson above all, and this is how difficult it is to rise above external challenges and pressures and retain one’s individuality. It’s an act that takes a great deal of inner-strength, resolve, and courage. It’s innately and biologically human of us to not want to be outcast, to conform, and live in harmony. The parable is a reminder though that there are many cases where conformity to the pressures imposed by others is the wrong choice. But to conform consciously to an inherently detrimental group, cause, or even ideology is not just wrong on every level, but…insane. Doing what is popular is far different from doing what is right and good. How many times do each of us choose to conform to ideas, situations, causes that we know intuitively go against what is right and good? How many times do we avoid doing what is right in exchange for doing what is popular? How many times do we close our eyes, drink water from the same well as everyone else, and hope for the best? ~ by Dan Fabrizio on September 2, 2011.